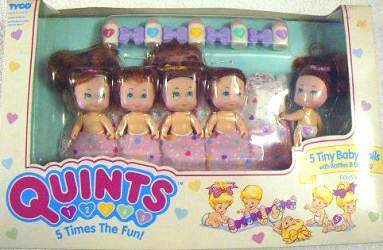 I believe this was one of the first set of Quints dolls made available. So far I know of three different versions of the boxed set. 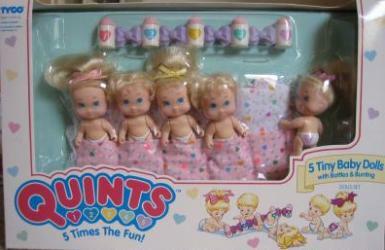 -White dolls with blonde hair. -Black dolls with black hair. 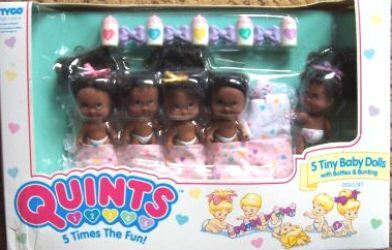 -White dolls with brown hair.